MODULAR HOME BUILDER: Are You Prepared to Sell High-Performance Modular Homes? Are You Prepared to Sell High-Performance Modular Homes? The high-performance home market is booming, with green homes currently accounting for 23 percent of the U.S. market. So why do some modular home builders still report that home buyers will not pay more for high-performance home features? There’s a disconnect between what modular home builders are selling and what home buyers want—and that remedying that disconnect with stronger messaging could lead to more high-performance home sales. Here are four “do’s” for increasing sales of high-performance homes. Do: Get your high-performance homes certified. An independent, third-party certification not only validates that you have built what you said you will build, but it also helps to define performance by clarifying what “green” means. 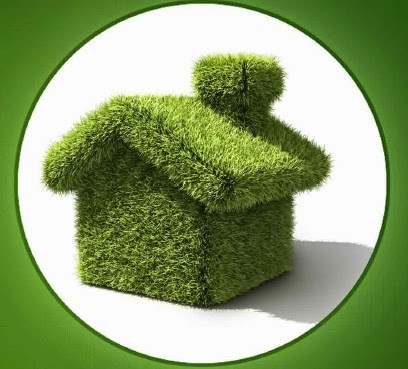 These certifications can also add value to your home, he added, noting that as programs such as Energy Star, the National Green Building Standard, LEED, or the Department of Energy’s Challenge Home become more popular and gain brand recognition, this public acceptance attaches a sense of value to the accreditations. There’s a growing awareness that high-performance features add value to a home. The NAHB’s 2013 “What Buyers Want” study that found 89 percent of homebuyers surveyed would prefer an energy-efficient house over a comparable house without energy efficiency features, even if the high-performance home costs 2 to 3 percent more. Do: Help the buyer add value to your homes. When you learn a buyer’s concerns and match your message to meet their top priority, be it comfort, health, energy efficiency, or general environmental concerns, you help them add value to your product. Creating value involves telling the buyer not only what you have to offer, but also telling them why they need it. Do: Be careful of what you say and promise to a buyer. A sale is great, but be cautious about overpromising. Be careful not to promise specific operational savings, return on investment, or guarantees for performance. Avoid overstatements. After all, performance can be greatly affected by home owner behavior. What builders can do, however, is promise that their home was built to a rigorous set of standards. You must then be prepared to define and explain what those standards are. If there's one thing we realized years ago it's that new home buyers want green features. But our industry either doesn't want to sell green, or hasn't a clue how to talk about it if they do. But times are changing. Quickly. We differentiated ourselves as high performance builders back in 2008 when the market was crashing. We survived because many of the customers still able to finance construction of their new home were generally better educated. This customer wanted to shield him/herself from the skyrocketing costs of energy (remember $142/barrel of oil?). So we offered efficiency when no one else was, and grabbed market share. Educate, communicate, and sell more high performance modular homes. It's not that hard! Who are the best modular manufactures in mid Atlantic area for green and energy efficiency?